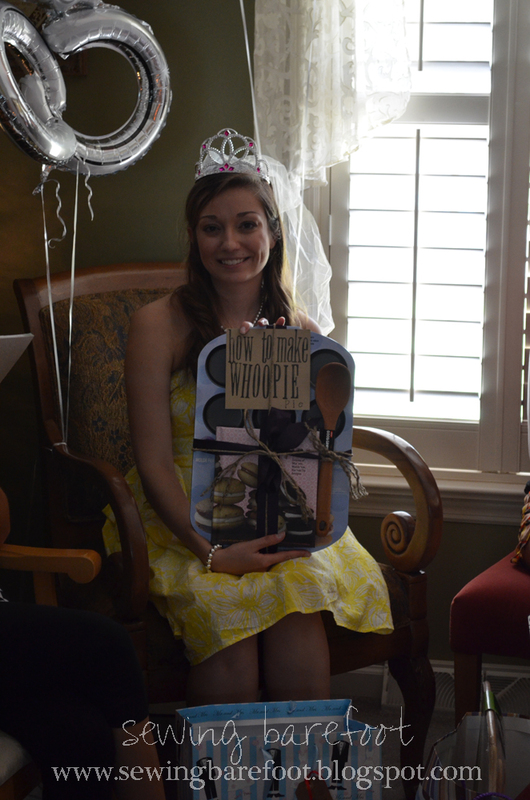 A few weeks ago, my co-worker told me about the cutest idea she put together for her daughter's bridal shower. 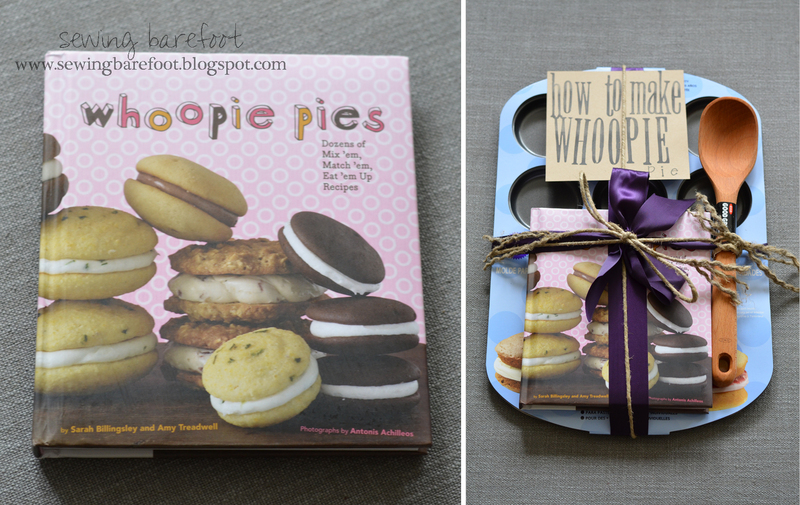 She called it "How To Make Whoopie" - a gift that was centered around everything to do with making "whoopie pies." I attended my cousin's fiances bridal shower recently and decided to make a similar version of this adorable gift. I ordered a whoopie pie pan, a whoopie pie recipe book and a wooden mixing spoon on Amazon. I wrapped them all together with ribbon & twine and finished it off with a handmade sign. It turned out cute and the bride loved it! 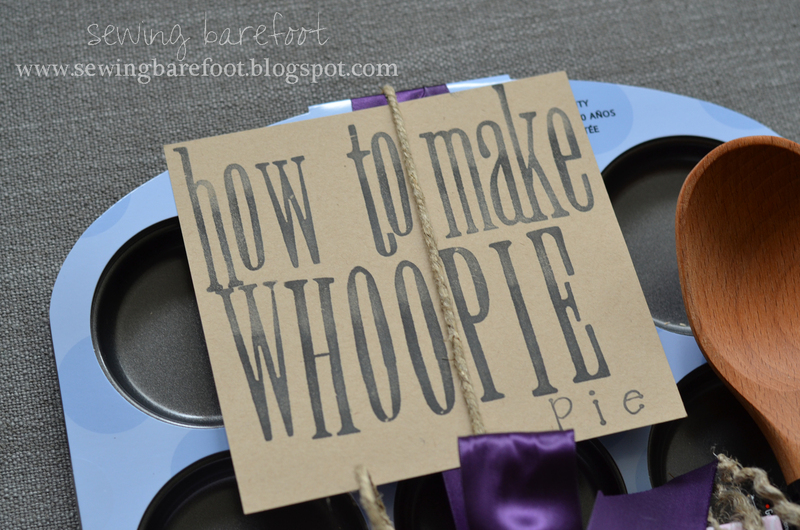 This is such an easy and adorable gift idea for a bridal shower. It was perfect because this bride LOVES to bake. This is seriously so cute! I'm pinning this to remember to do for my sister's bridal shower in the spring. Great idea, Shannon. I have friend whose son is getting married soon. I'll share this idea with her. Hi Shannon! Really cute idea! I pinned it. Love the bride with the veil holding it up...classic!! HAHAH this is awesome! i may have to do this for an upcoming shower! love it!